KYIV. July 20 (Interfax-Ukraine) – Ivano-Frankivskcement-eternit LLC (Yamnytsia, Ivano-Frankivsk region) plans to acquire 91.5481% or 6.974 shares in public joint-stock company Zakarpatnerudprom (Khust, Zakarpattia region). The report of the potential buyer was published in media. According to the report, at the moment of its publication Ivano-Frankivskcement-eternit did not hold shares in Zakarpatnerudprom. According to Zakarpatnerudprom’s information posted in the information disclosure system of the National Commission for Securities and the Stock Market of Ukraine, as of Q1 2015, the holder of the above-mentioned stake was Ukrnerudprom LLC (Kyiv). According to the state register of companies and individuals-businesspeople, as of July 17, 2015, the holder of 100% in the charter capital of Ukrnerudprom LLC and end beneficiary was Valentyna Stanetska. Zakarpatnerudprom was created in 1997 on the basis of the eponymous self-supporting group of companies that produced nonmetallic materials that was established on the basis of Khust experimental rock-processing enterprise founded in 1967 on the Vyshkivske calc sinter field. The company produces construction and decoration stone, wooden construction structures. Ivano-Frankivskcement-eternit LLC was founded in 2006. Its core business is wood wholesale, construction materials and sanitary ware. KYIV. July 20 (Interfax-Ukraine) – National Nuclear Generating Company Energoatom has proposed that Ukraine’s National Commission for Energy, Housing and Utilities Services Regulation (NCER) includes UAH 4.167 billion (VAT inclusive) in its investment programs for 2015-2017 to replace and modernize transformers, a government source has told Interfax-Ukraine. “The proposals are stipulated in the supplement to the 2015 Energoatom’s investment program and they have been agreed by the Energy and Coal Industry Ministry in letter No. 03/33-1124 of March 10, 2015. Now the supplement is being considered by NCER. The regulator planned to approve it at the meeting last week, but the discussion of the issue was postponed due to some reasons,” the source said. 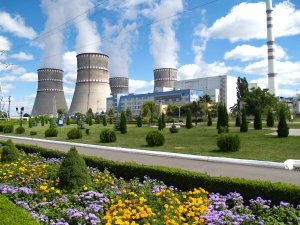 The source said that the explanatory note to the supplement of Energoatom’s 2015 investment program states that this year the company will allocate UAH 1.996 billion to replace transformers, UAH 1.417 billion in 2016, and UAH 754.5 million in 2017. “Energoatom plans to send the funds planned for 2015 to draw up blueprints and settle advance payments to transformer manufacturers,” the source said. KYIV. July 20 (Interfax-Ukraine) – The Ukrainian parliament has amended the Tax Code of Ukraine on reducing tax pressure on business. A total of 233 lawmakers passed, at second reading, draft law No. 2004 on amending the Tax Code regarding the reduction of tax pressure on taxpayers on July 17. Presenting the document, chair of the parliamentary committee for tax and customs policies Nina Yuzhanina said that it envisages the transfer of powers to present generalized tax consultations to the Finance Ministry with their obligatory publication on the ministry’s website. According to the comparative table to the draft law, it foresees the inclusion of the requirement to the Tax Code, according to which supervision and other agencies are banned from using the audit certificate as grounds for conclusions regarding the relations of taxpayers with contractors in the tax notification which was not handed to taxpayers after the drawing up of the audit certificate or if it is considered revoked. The draft law expands a list of documents which allow supervision agencies to start auditing by detailing: the copy of the order to start an audit is to contain the date when the order was issued, the name of the supervision agency, and the name and details of taxpayers. If the audit is conducted in another place it should contain the address of the taxpayer undergoing the audit, the goal of the audit, its type (scheduled document audit, off-schedule audit or physical audit), the date of the start and the period of the audit, the period being audited. The order to start the audit is to be signed and stamped by the head of the supervision agency or his or her deputy. The document also expands the Tax Code with the requirements to add foreign companies or organizations if they receive ownership rights to taxable property or land in Ukraine, if the way and goals of receiving property do not require the creation of subsidiary or a permanent representative office of nonresidents in Ukraine, to the register of supervision agencies. The companies are to submit the following documents: an application in the form approved by the Finance Ministry; a copy of an extract from the trade, bank and or court register issued in the country of the foreign company’s registration and legalized under the established procedure with notary-endorsed translation into Ukrainian; notary-endorsed copy of title-establishing documents which confirm the ownership rights to property or the right to use land issued and registered to nonresidents; information on the representative of the taxpayer. KYIV. 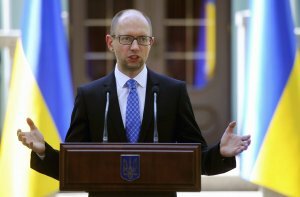 July 17 (Interfax-Ukraine) – American Frontera Resources Corporation will build an LNG-terminal in Ukraine, Ukrainian Prime Minister Arseniy Yatseniuk has said. “Naftogaz Ukrainy signed the corresponding memorandum with Frontera company. The American company starts construction of LNG-terminal and supplying natural gas to Ukraine via the construction of the LNG-terminal,” he said in the Verkhovna Rada on Friday when reporting on his recent visit to Washington. As reported Naftogaz earlier said that a memorandum had been signed with Frontera during the American-Ukrainian business forum in Washington held on July 13. The parties will cooperate in issues in gas and oil prospecting and production in Ukraine, as well as the realization of LNG import project via the capacity of American company in Georgia. The confirmed reserves of natural gas in Georgia amount to 300 billion cubic meters. KYIV. 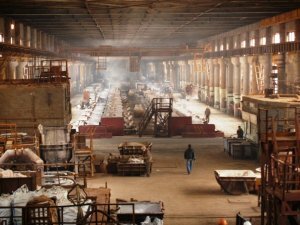 July 17 (Interfax-Ukraine) – Vilnohirsk state mining and metallurgical plant (Dnipropetrovsk region), part of state-run United Mining and Chemical Company plans to double supplies of glass sand to the Ukrainian market, United Mining and Chemical Company said in a press release on Thursday. The company said that top managers of Vilnohirsk plant is mulling the possibility of glass sand supplies to Vilnohirsk Glass LLC, the largest bottle producer in the region, which is able to buy over 100,000 tonnes of sand every year. Cooperation with Vilnohirsk plant would allow the company to save on logistics, while the plant will be able to boost sales of VS-30 glass sand. “At present, Vilnohirsk plant supplies VS-30 glass sand only to OJSC Hostomel glass plant Vetropak. Supplies to Vilnohirsk Glass would allow us to double sales of sand on the domestic market,” Deputy Director General of United Mining and Chemical Company Oleksandr Hladushko said. He said that monthly supplies to the future consumer could total over 4,000 tonnes. The plant is able to produce 150,000 tonnes of glass sand a year. At present, the plant makes around 50,000 tonnes of sand. Along with glass sand, the plant produces molding and construction sand which is supplied to metal and engineering companies. “United Mining and Chemical Company is holding talks with another potential consumer of glass sand – Kostopil glass product plant. The company will be able to buy over 3,000 tonnes of sand every month,” Hladushko said. United Mining and Chemical Company started operating from August 2014 when the Ukrainian government decided to transfer property of Vilnohirsk state mining and metallurgical plant and Irshansk state mining and processing plant to its management. In January-March 2015, United Mining and Chemical Company saw UAH 44.866 million of net profit. KYIV. 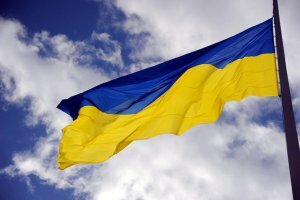 July 17 (Interfax-Ukraine) – The League of Insurance Organizations of Ukraine (LIOU) plans to expand directions of the operation of the financial committee, creating the investment division headed by the chief of the investment department of OTP Capital asset management company and a member of LIOU, Taras Yeleiko, the league said in a press release. According to the report, the decision was made at a meeting of the financial committee on July 15, 2015. The financial committee will be renamed the financial and investment committee. 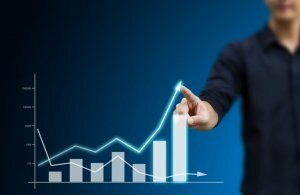 The structure of reserves of insurance companies and yield from them, strategies to manage insurance reserves within legal restrictions will be coordinated by the investment division. 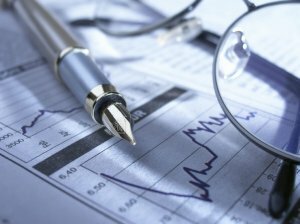 The analysis of the banking market, limits for banks with investment rating, tools with fixed yield, current yield will be conducted, and the macroeconomic indicators and the hryvnia exchange rate forecasts will be drawn up. According to the document, at the meeting special attention was paid to the discussion and approval of proposals of LIOU members to the draft resolution of the national commission for financial service markets regulation on approving mandatory criteria and requirements for adequacy, diversification of insurers’ assets and their quality.